I’ve been thinking a lot about happiness, enjoyment, appreciation, and gratitude lately. However, I’ve been making some subtle shifts in this department that are adding up to be rather huge. I’ve never been a fan of gratitude lists or journals. I mean, they SOUND like a great idea, and I BELIEVE in the idea of being grateful, but when I’m stuck in feeling overwhelmed, negative, or down about my life, it feels impossible to get into that space of gratitude and appreciation. But what’s oh-so-cool right now is that I’m noticing that by making these simple shifts in the way I’m approaching my life and what I’m doing, gratitude and appreciation have become by-products of my experience. I love that! This all started when I decided to participate in Dr. Jessica Michaelson‘s online journaling program about minimizing online distractions. Just freeing myself from my small but pernicious online addictions has created a huge sense of relief and space in my life. Then I went on and joined her Finding What You Didn’t Lose program, which I’m also loving. Here’s what we’re doing, on a very simple level, that I’m finding so very helpful. Setting an intention for how we want to approach the day ahead in a way that’s connected to what’s most important to us (like being present or being adventuresome). Getting clear on the three main things we’re aiming to do in a given day (I’ve written in the past about “three big rocks” for the year — this is about picking them for the day!). Noticing where we can build in connection, use our natural talents, and find sensory pleasure in our days. This is all based in research about happiness,* which shows that we need to experience connection, meaning, pleasure, flow, and accomplishment in order to feel happy in our lives. 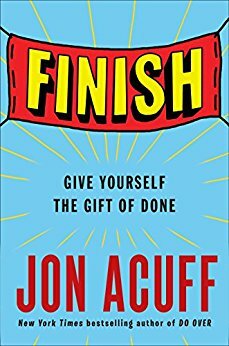 One of the biggest challenges in long-form writing (a novel, book, screenplay, for instance) is that it can feel endless, like we’ll never reach the finish line of “done”. Living immersed in that context can be disheartening at times and downright discouraging at others. WHY we’re doing it. When we’re clear about how important writing is to us and believe it is our calling, we stay connected to its meaning in our lives. Some days writing is hard, some days it’s fun and easy. But in the big picture, we care deeply about it, otherwise we wouldn’t be doing it. We can even go a little more deeply into the Big Why behind our writing. Perhaps we have a message or vision to share, or we’re hoping to shape, change, and influence people’s lives. When we give thought to our Why, it’s easier to keep on writing. Other writers and other people. Hang out with other writers who 1) get what it’s really like to write day in and day out, and 2) have generally positive and supportive attitudes about writing. 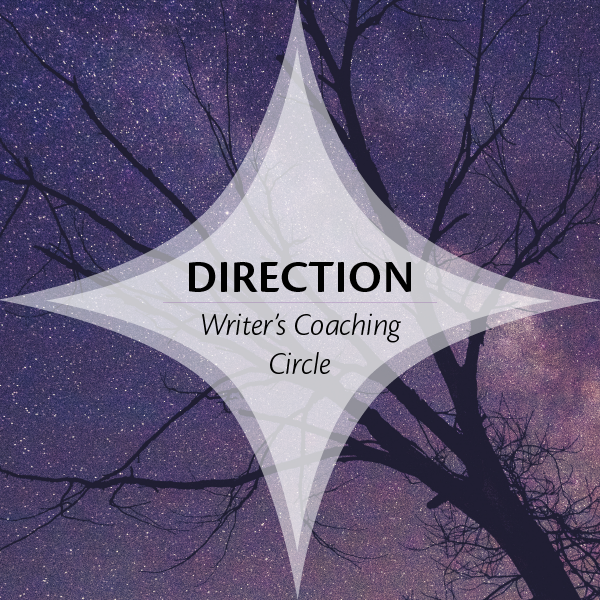 (My Called to Write Coaching Circle is a positive, supportive place for writers, for example.) Be mindful about hanging out in groups of writers who will only tell you how hard it is to break in. Instead, look for people who are finding ways to write and ways into the business that work for them, their lifestyles, and their temperaments. ALSO spend time with non-writers too: Your loved ones, family, and friends. Life is rich, and our writing is richer when we are connected to it. The rest of life. Writing doesn’t happen in a vacuum. As writers, we tend to be hunched over desks and computers more than average. We need to get out and enjoy the world and take care of our bodies too. Turns out that sensory pleasure happens mostly in the real world, so give yourself some gifts in this regard. 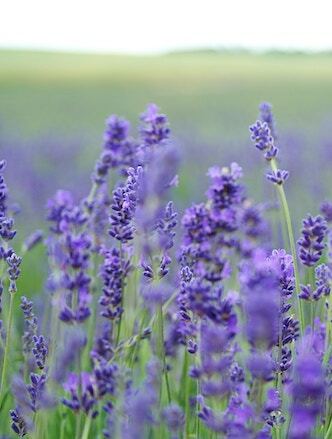 I’ve been savoring the simple things, like walks in the beautiful weather, delicious tea, snuggling with my littlest one while he goes to sleep and with my eldest one while I read to him at night, taking Pilates classes, and blowing bubbles for the kids in the sunshine. Our writing itself. Writing, by nature, can produce the wonderful state of flow that’s part of the recipe for happiness. When we’re writing, we’re in the flow of using our innate talents. So if you’re having trouble getting past the natural resistance that comes up around doing the writing, get support to get into the flow. A working writer is a happy writer. What’s important to you about your writing? What short term writing goal can you set and achieve today? How can you connect with other writers today? What can you do to experience pleasure in the real world today in your life? What support do you need, if any, to get into the flow of your writing today? Use these questions to make simple shifts and enjoy your writing (more! ), and your life. You deserve it. It’s that time of year. We’re all making resolutions and setting goals, thinking about our biggest, fondest dreams, and what we hope to accomplish with our lives in the year ahead and beyond. As writers, usually our resolutions, goals, and visions have a lot to do with our writing, along with the other big goals we’d like to accomplish. And once you’re clear on the dream — you’ll want to have a way to put it all into action. This is where building a lasting writing habit comes into play. Habit will get you through to the end, where willpower and determination might otherwise fail you. When it comes to building a writing habit, habit itself is the key word. We want you to get your writing to a place in your life where you wouldn’t even consider NOT doing it, the way you wouldn’t even consider not brushing your teeth every day. That’s when you know you’ve got a solid writing habit. Tip #1: Write daily or near daily. When you’re trying to build a habit, aim to write DAILY. Writing on a regular basis is a hell of a lot easier than writing infrequently, it stirs up more frequent creative thoughts, and it eliminates the whole need so many writers have to “warm up”. It turns out that most “warming up” is procrastination and resistance in disguise, and you won’t need it once you’re writing regularly. In fact, when you write on a regular basis, you’ll find that your subconscious mind is always working on your project, so it’s much easier to dip in and out of it on the fly. So when you’re starting out building a writing habit, or even rebuilding one, aim to write every single day. There’s a kind of open window into our writing that closes more tightly the longer the span of time that passes between writing sessions. So keeping that window of time to 24 hours or less, when you’re building the habit, is key. Once you’ve got it down, you can start experimenting with taking days off here and there. When I first started writing regularly, I had to write every day or my resistance levels would build up to code red proportions. Now I can take weekends off and step back into the writing come Mondays with less drama and angst. Tip #2: Set small, attainable goals for your daily writing. Do yourself a favor and start out your habit building with a super small, easily attainable goal that you KNOW you can do, every day, even if it’s just 5 minutes day. When new members start in my Called to Write Coaching Circle program, we encourage them to focus on even just checking in every day as a way of building the habit muscle. Tip #3: If you’re not writing, make the goal smaller. Once you set your goal, if you don’t find yourself doing it, don’t despair or call yourself a failure! Instead, take that as a useful piece of information (your resistance is higher than that goal) and set the goal smaller, even if it’s writing for one minute. Truth be told, when you’re building the habit, it’s NOT the size of the goal that’s important, it’s the habit itself that is. Once you’re meeting and succeeding with your initial goal, you can build up to more over time. I started out aiming to write for 15 minutes a day (and finished a script that way) and gradually built up to writing three to four hours a day at my peak before I had baby #2. Tip #4: Create triggers for your writing habit. You always brush your teeth when you get ready in the morning and before you go to bed, right? Getting ready in the morning and going to bed are triggers. You don’t debate about whether or not you’ll brush your teeth, you just do it because you’re so used to it, it would feel weird NOT to do it. So if you can set up a trigger for your writing, it makes it easier to do. Write immediately upon awakening. A huge benefit of writing first in the day is that it clearly separates it from other life tasks and obligations so you don’t have to transition so much between other things to writing and back again. Write with a timer or during a group writing sprint. When you use a timer or you’re writing alongside other people, the writing energy just kicks in and carries you along. Write after meditating or exercising. It’s nice to stack other resistance-provoking activities next to each other in the day and hit them with a one-two punch. Write before exercising or before doing some other kind of regular activity. Then you have something to “bump up against” in your schedule. Write immediately after you get home, eat dinner, or put the kids to bed. Know that when you’re done, you’ll write before you do anything else. Write before going to bed. If you’re a die-hard night owl, consider making writing the last thing you do. If you keep doing the same thing, over and over again, it will become a regular part of your routine, and much easier to sustain over the long term. Tip #5. Create as much accountability as you need to keep writing. There are many different kinds of accountability, including writer’s groups, mentors, deadlines, accountability parties, and writing buddies. The trick is to figure out exactly how much YOU need to keep the fire lit under your writing motivation and put it into place. Look for the right combination that keeps you in action. For example, you might want to have a writing buddy you exchange pages with every week, to keep you honest, whether you actually read each other’s work or not. You could combine that with a writer’s group, like my Called to Write program, which provides daily accountability. If that isn’t enough for you, you could also add in an in person writing group and/or a contest or submission deadline to keep you focused. There’s no one size fits all answer here. You might be someone who is either great at staying accountable to yourself or someone who rebels against any kind of accountability. If that’s the case, you may you prefer to put your focus on community and connection, rather than accountability, so that what helps keep you motivated is that your identity is tied to your writing and the group you’re in. Put these five tips into action and see what you can do! It’s amazing what happens once you start. I wish you all the best in 2016 for a creative and productive year! Make 2016 the year your writing takes off! 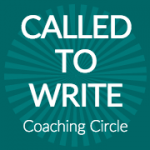 If you want help, support, accountability, and more writing encouragement than you can shake a stick at in 2016, join the Called to Write Coaching Circle. When you join us by December 31 at 11:59 p.m. Pacific Time, you’ll lock in our 2015 rates and have all the support you need to get your word counts soaring. 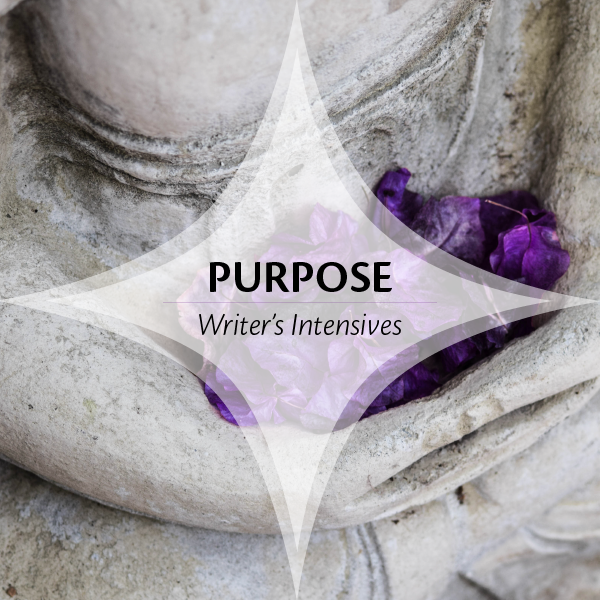 Plus, when you enter coupon code NEWYEARWRITE you’ll save $30 on your first session or package. Join us! Find out more and register here: http://JustDoTheWriting.com. It’s a busy time. There’s a lot going on and a lot expected of us with the next round of holidays looming on the horizon. It’s also a time when we start looking ahead to the new year. Maybe more in the backs of our brains where we don’t have to pay too much attention to it, but most of us are starting to think ahead to our writing in the new year and what we want to accomplish. Some of us are even putting off writing until the new year, thinking we don’t have enough time to do it now, with all the busyness. The truth is, though, that most of us are putting it off because we think we need a lot of time to write. That it isn’t worth writing unless we have a big block of time to write, where we can really dig in. And it’s true, those long blocks of time to write can be lovely (when they don’t scare the bejesus out of us and cause us to procrastinate even more!). But we don’t really need big blocks of time to keep our writing in motion. We just have to do some writing. Write small. Even if you’re accustomed to longer stretches of writing time, it’s okay to scale it back to a more manageable amount while you’re balancing the busyness of the holidays too. Even just 15 minutes of writing a day (or 5!) is worth doing and will keep you connected to your project. Write first. Writing first in the day–even if you have to get up early–will help you bypass most of the challenges the holidays bring. This is because when you put your writing first, everything else comes afterward and fills in the remaining time. It will reduce your stress levels, you’ll feed your soul, and everything else will still miraculously get done. Set a holiday season writing goal. Whether you’re targeting completion of a major project or simply determined to keep writing no matter what, knowing what your goal is makes it easier to know if you are on track. This year, for instance, with a young toddler in the house, my goal is super, super simple: just to keep writing. That’s it. For another writer, it might be, to finish the draft of a novel by the end of the year. Once you know your goal, you can reverse engineer what you need to do to accomplish it. Know what your specific challenges are and how you will address them. For example, my older son will be off school for two weeks, so I’m thinking about what he’s going to be doing when I want to be writing and making plans to write when my husband is home and/or the kids are otherwise occupied. Maybe you’ll be traveling, or having house guests. 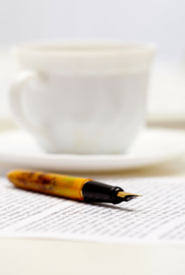 With some forethought, you can come up with a simple strategy to protect your writing time. Be clear about what days you are taking off. I know of writers who ONLY take off Christmas Day every year. I know others who write 365 days per year. I also know of successful writers who write only on weekdays and take weekends and holidays off. If you decide to take days off from writing, be clear with yourself about when, where, and how you will start writing again after the day or days off. 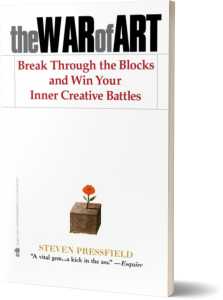 You have to be ready to combat the inertia of not writing. Create support & accountability. Habit trumps inspiration, discipline, and motivation almost any day of the week, but habit can still get disrupted by changes in our routine, like the holidays, travel, vacations, extra social commitments, and just generally having more to do. You can use the power of accountability to help keep your habit in place even when it’s being disrupted by other things. Whether you’re checking in with your writing buddies, participating in a writer’s group like my online Writer’s Circle coaching program, or talking to your writing coach, having people around you who believe in the importance of your writing and support you to keep doing it helps you stay strong when you’re around people who don’t get it. Be creative. When the going gets tough, be creative about how and where you write. For example, you might want to arrive at your appointments early so you can sit in the car and write for a few minutes, write on your phone in bed at night (this is one of my favorite tricks), keep a notebook with you at all times for moments of inspiration, or find other clever ways to keep writing even when life is happening. Write last. Last but not least, if you can’t write first, write last. Even if you take just a few minutes at the end of every day, write. This is my saving grace these days with a busy life with a little toddler. I hope this list of ideas will get you thinking about what you can do to keep writing through the holidays so you can feel great about beginning into the new year with a strong start. 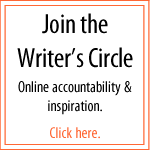 Join the Writer’s Circle to get even more support and accountability to help you keep writing through the holidays. The next session starts soon. Welcome back to the Make 2015 Your Year to Write series! We’re closing in on the end — both of our seven-part series, and also of 2014. The end is near! … which makes this the perfect time to venture into the real reason we’re all here: setting goals and resolutions for 2015 that are real and attainable. One: In case you’re just joining us, let’s review what we’ve been exploring this week together. We started by reflecting on our writing lives so far, then looked at challenges and insights, then began tapping in to what we want for our writing lives, and then explored how to close the gap between where we are right now and where we want to end up. Two: Before we get into specifics for 2015, we’re going to first look at the big picture of your writing career (and writing life!) as a whole. Tomorrow will be the big day for 2015 goal setting and resolutions. More about why we do it this way in a few minutes. In the meantime, remember, if you have questions, thoughts, challenges, comments, or problems, I’m your coach this week. Just post them in the comments section on the blog and I’ll be sure to address or answer them for you. And if you’re wondering, it’s perfectly okay to join in on this process at any time. We’re glad to have you. 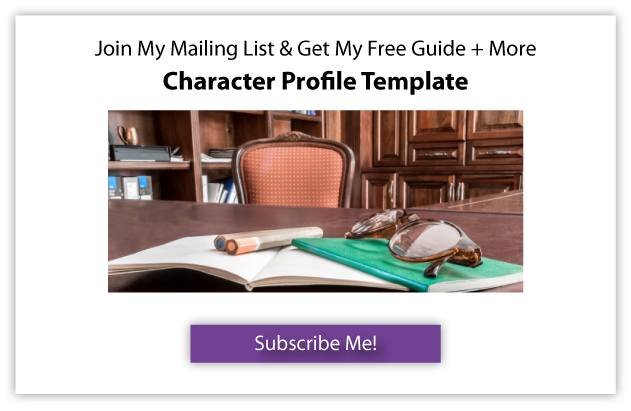 Although we did some initial exploring in part three for what you want your writing life to be like, feel like, and look like, and looked at how we can start to close the gap between then and now in part four, today we’re going to consider the trajectory you want for your big picture writing career and life. Before we go into it, though, let’s talk about WHY we want to do this visioning thang. It’s important to start with a long-term vision BEFORE setting goals for 2015, because we want to make sure that your short-term goals are in alignment with those long-term goals. In other words, if you’re setting goals for 2015 that have nothing to do with where you want to end up, you can end up in an entirely different place than you intended to go. That may sound entirely obvious, but I can’t tell you how many writers I’ve worked with who set goals that take them to the wrong place, often because of what they think they should be doing or because someone else wants something for them that isn’t necessarily a match with what the writer wants for themselves. So it’s worth it to be clear about what you’re doing and why you’re doing it before you start identifying specific goals. First we’ll discuss the common places writers get stuck with visioning and how to use a vision. Then we’ll explore our two writing prompts for today. Sometimes visioning can get sticky. It sounds like a big fancy thing to do, and in a way it is, but it’s also a lot simpler than we tend to make it. And we’re all wired a little differently, so the kind of visioning that works well for Josephine Writer down the street may not work so well for you. Here are the typical ways I see writers getting stuck with visioning. If you see yourself in any of these, try my suggested tweaks to course correct. Sometimes going into visioning work can feel discouraging because it feels so far off in the distance and so big that we’ll never get there. If you find yourself having trouble with this, invite yourself to hold it lightly, like a game or one possible future. And if it feels too heavy, give yourself permission to tweak and change it until it feels fun and inspiring. That’s really the point, after all! We’re going for fun, inspiring, and directing. Another important pitfall to be aware of is that it can be easy to fall into fulfilling other people’s visions for you if you’re not careful. Sometimes our mentors, agents, managers, parents, families, friends, colleagues, spouses, and kids can have ideas about what we should be doing that may or may not ring true for us as individuals. And if you start forcing yourself to follow someone else’s goals, you’ll be likely to find yourself feeling lost instead. This isn’t to say that our trusted experts and colleagues should always be ignored, but rather to make sure that we are checking in with our own internal guidance about what we truly want. A good way to check for this is to keep an ear tuned in to the word “should”. If you catch yourself saying that, chances are your vision needs some adjusting to be more in line with YOU and your reality. Along the same lines, we can get equally hooked by what outside measures of success are supposed to look like. In other words, you might think you “have to” self-publish, or traditionally publish, or break in by a certain date, or make a certain amount of money. It’s important to both remember that we each have our own paths to take, and also that we can define success on our own terms. So as you vision, think not about what you are supposed to have, be, or do, but rather what feels most exciting and meaningful to you. Don’t just focus on making lots of money if you don’t know what you want to do with it, for instance. This isn’t a race. It’s about creating meaningful, quality lives for ourselves, and that can span a wide range. Don’t worry overly if you can’t get super clear and have great detail about your vision. Some writers say, “I just don’t see anything specific.” If you find that to be an issue, you can go for flashes of a vision like we did in part three, or even try to tune in to a felt-sense that tells you a bit about where you’d like to be. There’s no right and wrong with visioning. Just go with what comes to you, and feel free to make it a combo-deal of your mental ideas and thoughts plus the images you see. As long as it’s coming from you, it’s all good. It’s also important to know HOW to use a vision. It’s not a hard and fast tool, nor does it have to adhere to a specific timeline. Instead, hold a vision lightly, as a guiding tool, and know and trust that you can evolve and change it as you go — because after all, things change, and LIFE changes. That said, we can still use a vision as a powerful step in moving toward what we want. The key is to get clear on the vision and then focus on taking the first steps. As you take your first steps, your next “first” steps will become clearer. It’s worth checking on a regular basis about where you are on the path — Are you moving in your intended direction? Falling off course? Is there anything that you want to change or adjust? Then you can make adjustments — or not! — depending on what’s emerging for you in terms of your own clarity about it. 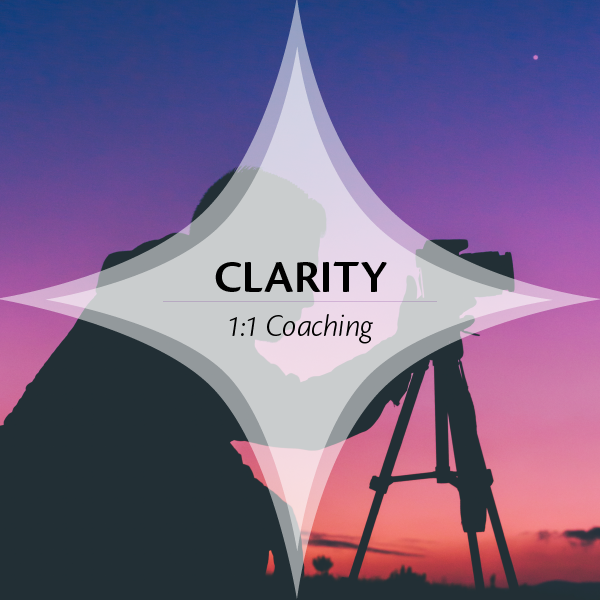 Check to make sure that the next “first” steps are in alignment with the big picture vision. Refine and adjust the big picture vision as needed. Take the next “first” steps. 1. What’s your overall vision for your writing career? We’ll begin with thinking — your ideas and thoughts about what you want. What kind of writing career and life do you want to have? Are you picturing writing in a quiet, remote place with lots of independence and freedom? Or working in the hustle-bustle of a big city? Or collaborating for long full days in a writer’s room in Hollywood, staffing a TV show? Do you feel excited by the idea of high-intensity, fast-paced work, late nights, and deadlines? Are you more in the “I just want to write in a quiet place by myself” camp? And along those lines, is what you’re currently headed toward or holding in mind a good match for your temperament? Sometimes writers are focused on a specific kind of writing career that doesn’t fit well with their temperament, like someone who might prefer the collaborative environment of screenwriting but is instead currently focused on novel writing, or vice versa. Is writing the core of your career, or is it part of your platform? Some writers are also speakers, teachers, bloggers, or coaches. Writing can be a PART of the big picture but it doesn’t have to be all of it. Are you envisioning your writing as your sole source of income or does your income come from a mix of sources? Think about what that might look like and feel like. Sure, it may be something you transition to over time, but making a living from your writing as your only source of income is a very different thing than having multiple streams of income. And it might also be interesting to think about the types of writing you’re considering as well. By when do you hope to have “arrived”? Do you have a timeline in mind? Is there anything you know will be in place when you have the career you want to have? How will you know you have “arrived”? Are there any outside measurable or observable criteria? Any inner guidelines that will help you “know”? 2. What do you intend to accomplish as a writer? Do you have a specific idea in mind about the breadth or depth of your work? Any ideas about how your work will manifest? 3. What images flash into your mind that show your accomplishments? A great tool for exploring the first two questions are to also see what images flash into your mind that show your accomplishments. For instance, do you see a row of your published books lining the shelves in your favorite local bookstore? Posters of your movie plastered all over town? Your published articles in your favorite periodicals? Perhaps you see yourself as the renowned expert in a specific field of study. “For the longest time, I had an image in my head of shelves and shelves of books in the bookstore, like a Nora Roberts or Danielle Steele. Not necessarily romance, but tons and tons and tons of books. I never really put too much thought into it, it was just a picture that I had. I always wanted to write a LOT of books — like, a crazy lot. “He got a sign as big as ‘Lifestyle’ or ‘Magazines’. Now you get to play with the writing prompts for today. If you’re inspired to do so, please share your responses in the comments section on the blog — or your insights after writing about them in your journal, talking them over with other writers or a trusted friend, or letting them swirl through your consciousness. Feel free to leave questions for me too, if you have them. What do you intend to accomplish as a writer? What’s your overall vision for your writing career? What images flash into your mind that show your accomplishments? And don’t miss tomorrow’s installment, where we’ll get specific about goal setting for 2015!